Editor’s note: We’ve long admired the chic clothes made by Nikki of Beauté J’adore, and we were thrilled when she accepted our invitation to be a guest blogger on the Mood Sewing Network. Welcome, Nikki! With the temperatures now dropping into the 40’s, I can officially say fall is in full gear. 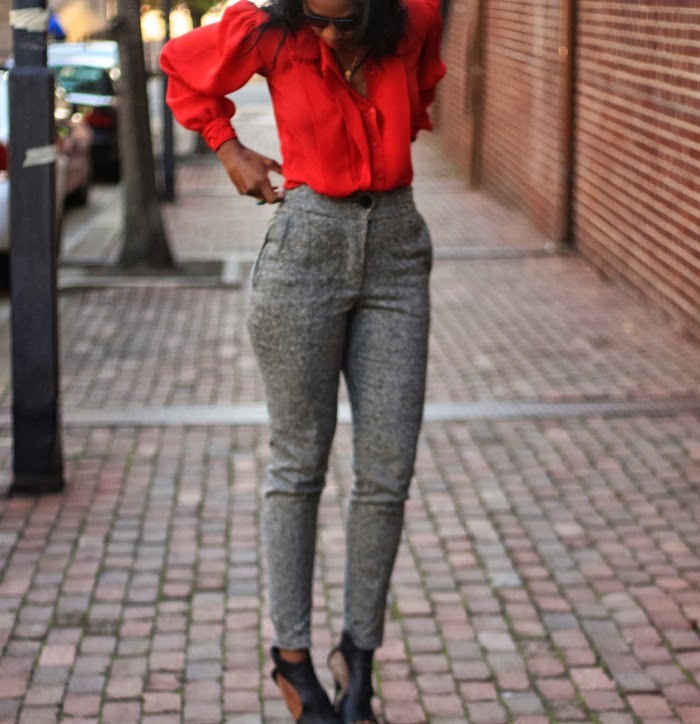 What says fall even more is a pair of high waisted cropped wool trousers. 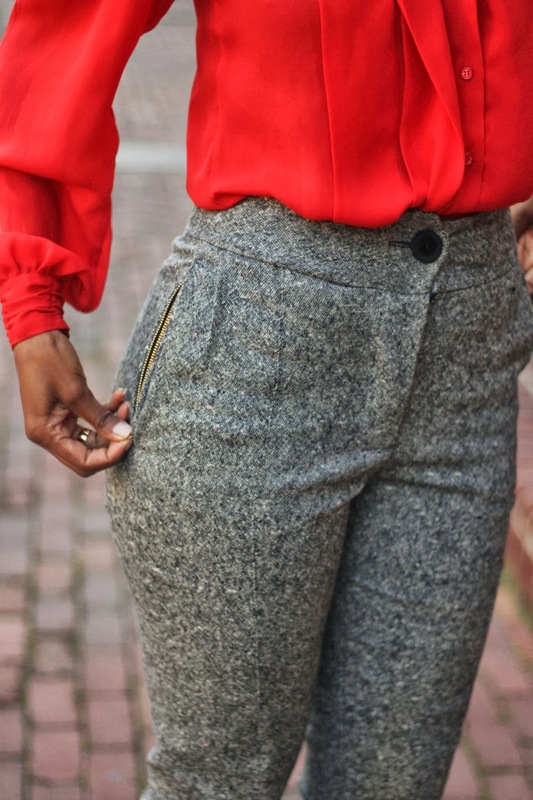 These trousers were made with this beautiful wool tweed fabric from Mood. The fabric has a slight stretch to it which made it incredibly easy to cut and sew. I’ve worked with wool in the past that tends to unravel but this was a true delight. The selection and quality of wool Mood offers is hands down the best. The pattern I used to make these trousers were Burda B7250 with many alterations. Because this fabric is such a dream with a slight stretch, I decided to make these trousers a slim fit as opposed to the baggier look which is what the pattern was designed for. Because I wanted to line the trousers and due to the slight stretch, I knew lining them with a slightly stretch silk would make them more comfortable and allow the fabric to lay nicer so I used this Mood silk georgette. To make these trousers more interesting, I added a high waist and a 6″ metal zipper to the pockets. And tacked the pleats down the front of the trouser creating a faux piping. I see many wool projects in my future.